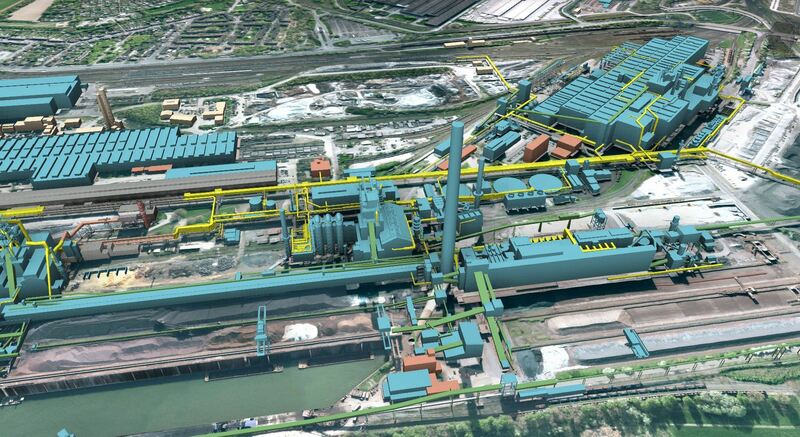 “One Digital Factory” project, Duisburg, Germany. 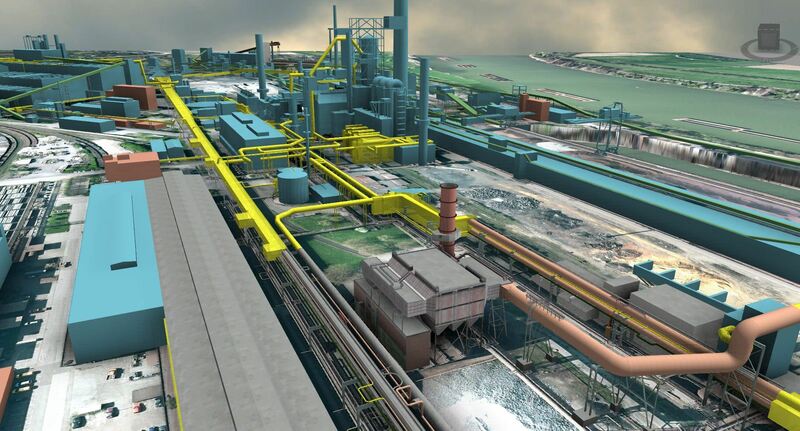 Huettenwerk Krupp-Mannesmann (HKM) visualizes it's huge steel production site including the large coke ovens, steel furnaces, infrastructure, and storage areas in Autodesk InfraWorks 360. 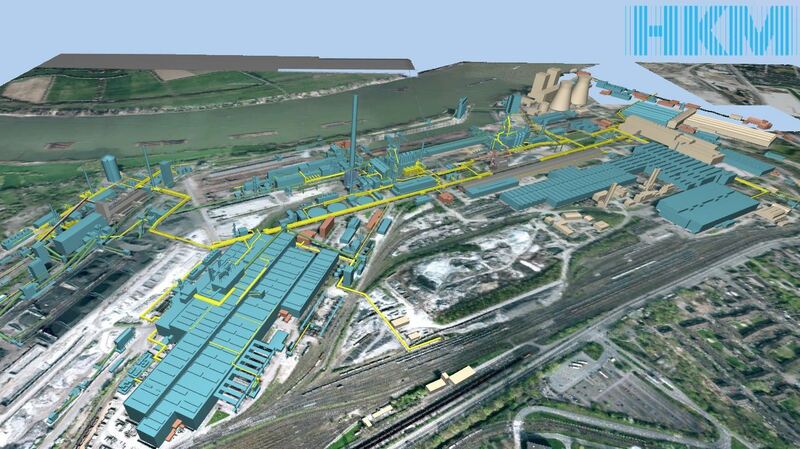 HKM created the comprehensive 3D model of the factory, starting with a complete 3D-Scan of the factory. One of the goals is to support decisions and assess efforts and risks of replacements of large equipment.